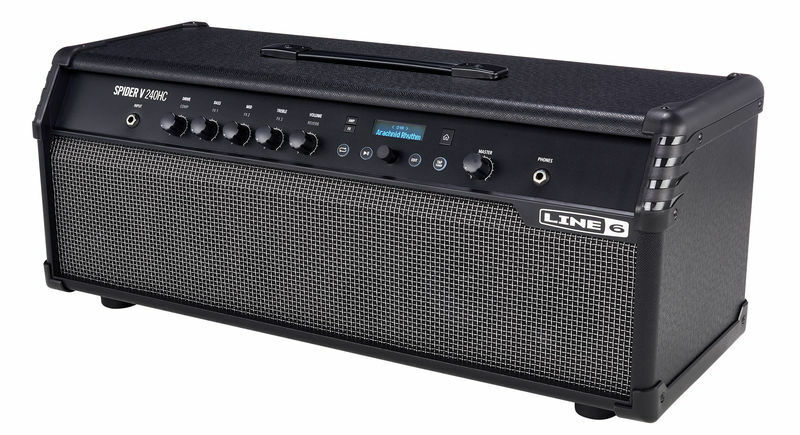 Much more than a guitar amp head, the Line 6 Spider V 240HC is equipped with a full-range stereo speaker system for practice sessions and tone creation. 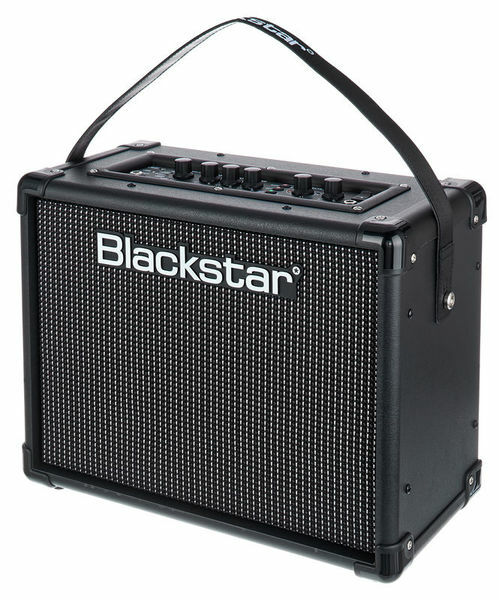 And like its predecessors, you get an amazing range of over 200 updated amp, cab, and effect models. Color-coded controls make it easy to create new tones from scratch, and the full-range speaker system sounds equally sweet with electric and acoustic guitars. 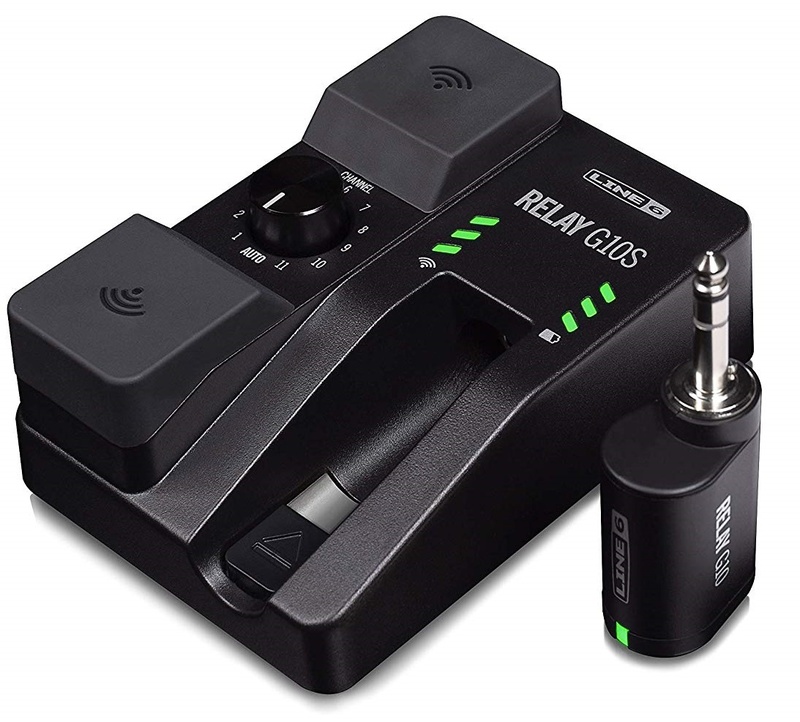 It's also ready for wireless performance — simply add the optional Relay transmitter (sold separately). 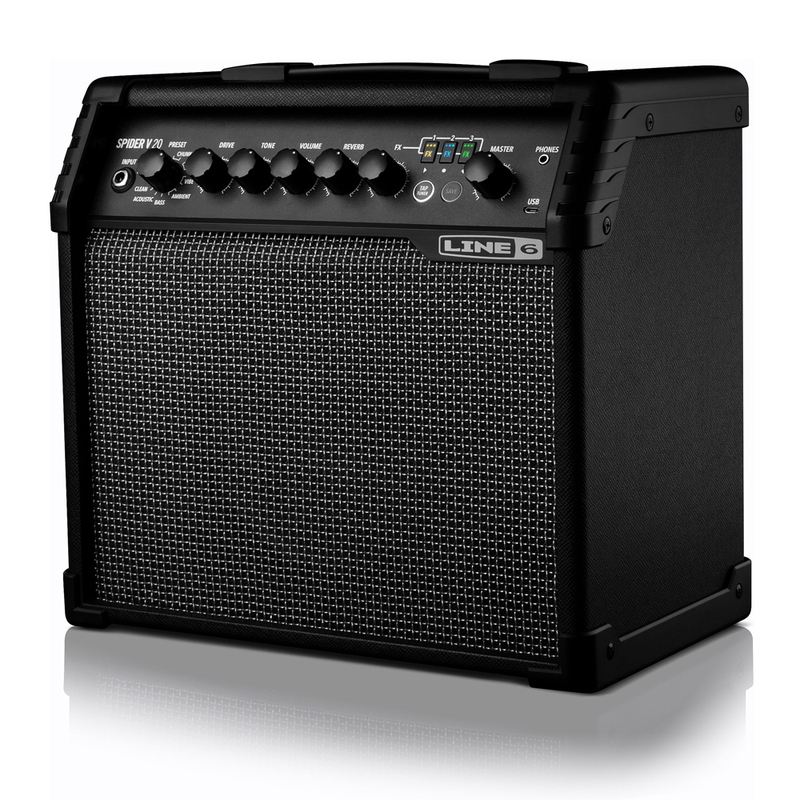 Whether you're practicing or performing, the Line 6 Spider V 240HC guitar amplifier head will exceed your expectations. Although the Line 6 Spider V 240HC has plenty of power to drive any speaker cabinet you like, sometimes you don't need all that volume. 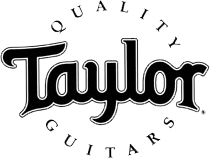 And sometimes it's nice to have a full-range option for your acoustic-electric guitar. The Spider V 240HC is equipped with two 4" speakers and dual tweeters, with 50 watts of power for practice sessions. 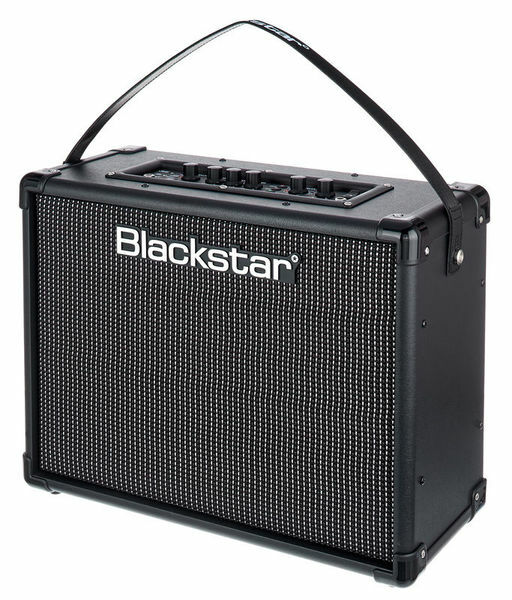 Combine it with the Spider 5 412 speaker cab (sold separately) to create a bi-amped, full-range guitar system. The Spider V 240HC packs the most advanced models of any Spider to date. More than 200 updated amps, cabs and effects are on tap, allowing you to cover any musical genre imaginable. You can combine up to eight effects at a time. And you'll definitely want to spend some time exploring the impressive range of presets: Iconic Rig presets re-create legendary guitar setups from iconic songs and albums, and Artist Presets were created by modern-day guitar icons. A set of Standard Presets delivers original Line 6 tones. Stop tripping over your guitar cable — the Spider V 240HC is ready for wireless connectivity right out of the box. 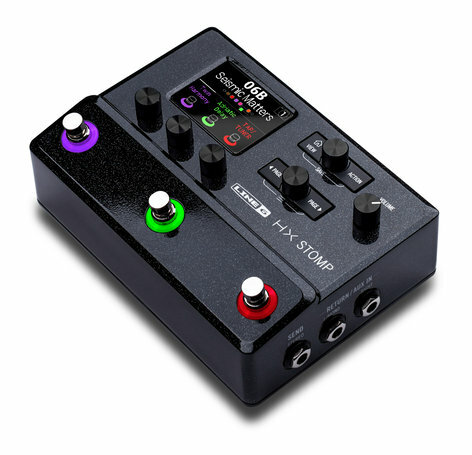 Simply connect a Line 6 Relay transmitter (sold separately) to your guitar, and the Spider V 240HC is ready to receive. 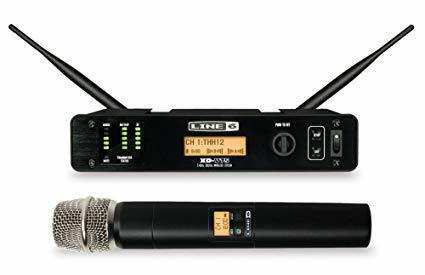 We've helped countless guitarists go wireless here at Sweetwater, and we can confirm it doesn't get much simpler than this. Between gigs, the Spider V 240HC amp head is the ideal practice partner. A built-in tuner allows you to tune up fast, and a built-in metronome eliminates the need for external timekeepers. Even better, play along to a collection of real drummer loops recorded by pro musicians. Whether you're writing new songs or honing your skills, the Spider V 240HC is a great amp to practice with.